Source: CoCA and Toybox, 2018. Chances of getting a job as an animator/digital artist are average for those wanting to enter the role, but good for those with experience. Pay for animators/digital artists varies depending on skills, experience and the type of work they do. Graduate animators usually start on between minimum wage and $20 an hour. 2D animators/digital artists usually earn between $20 and $50 an hour. 3D animators/digital artists can earn between $20 and $75 an hour. Self-employed animators/digital artists may be paid by the frame/picture. Sources: Massey University College of Creative Arts, 2018; Toybox, 2018; careers.govt.nz research, 2018.
be involved in hiring and managing staff. knowledge of print, film, television or video game production. usually work in offices or workshops, and may move frequently from location to location on different projects. Izzy and Qeyloux check out careers in animation and design at Maui Studios – 5.38 mins. Tama: Holy Quacatomole, if you’re wondering what that means that makes two of us, anyways Nan always said I was a bit of a Haututū. That’s why I’m on your computer screen and if you’re a bit of a Haututū like me, use your passion as your drive to find the right job for you. It just made me famous. Qeyloux: I’m not, I never do. Izzy: Well you should be. Izzy: A career after school. Qeyloux: Ok, so let’s do it. Qeyloux: Kia Ora Bro, what’s your guy’s name? Vincent: Aw Bro, my name is Vinny Egan. Izzy: Where do you guys work? Vincent: Ah we work at this creative place called Maui Studios in the building known as The Promised Land and we are part of the Digital Natives. Qeyloux: What exactly do you guys do here? Madison: We’re like those kinda creative entrepreneurial type dudes, if you were to label us we would probably be digital Haututū. We just like came up from Dunedin, graduated in Dunedin and we found ourselves in this epic, creative environment that’s thriving full of CEO’s and Māori people who are just striving to achieve the best that they can be. Izzy: What inspired you guys to get into this sort of industry, into Maui Studios? Vincent: I suppose that a lot of it is the fact that we are Haututū so we’re like those cats that grew up in High School always getting in trouble for drawing on our books and stuff like that. That kind of translated like after we finished our degrees and started like internships and things like that. That same kinda nature just kept propping up, instead of doing our other work we would be I don’t know working on websites or designing characters or whatever. So we just kind of rolled with that whole Haututū idea and ended up turning it into a business and career somehow. Izzy: Could you give us a specific example of barriers that you’ve had to cross? Madison: Ultimately it’s like, you have to pay the bills at the end of the day obviously but at the same time you wanna be chasing your passions or chasing what you are passionate about. That’s why the whole idea of us staying late nights at the studio, working for free, just doing things that you are keen to do. Vincent: Failures are so key, if you make sure that you are learning from them. Cos like you could fail a thousand times and if you don’t take anything from it then it’s definitely a bad thing for you but if you make a big like stuff up and then you find out what it is that you did wrong during that stuff up and then you do things to make sure it never happens again, then that failure if anything it looks like a step forward, instead of like a step back. Qeyloux: Hey Bro, what are you up to? Madison: Just having a jam here at one of our Ngā Atua Māori, so this fella here is Rongomatane he’s like the god of peace and cultivated food. I’ll just go through a bit of the process with you, sort of broken all down into layers, so at the moment come down, go all the way down and start off with just lines and then as you come along you add another layer of colours and then you are trying to build a bit more detail so we add shades that sort of builds and you can add highlight and stuff like that. Vincent: Bro we should have a jam. Vincent: Have a go, bro just have a go. So you see I am doing this on the left-hand side of these kind of rocks things. Qeyloux: Yeah so the sun is kind of coming in, the lights coming from over here. Vincent: Bro you are just a natural man…smashing it. Vincent: Izzy I am gonna give you a lesson too so we are gonna go have a jam on the whiteboard. Sweet Izzy so I am gonna give you a real brief lesson on how to do character design. So it’s just basically understanding the individual ideas that are going to make this character up. Izzy: Do you want to evaluate this masterpiece? Vincent: Yeah see that’s mean! You get a pass! Tama: So let’s re-cap what we just learned. You can pay your bills and chase your passions. Be ok with making sacrifices to achieve your goals and dreams. If you stuff up, find out why and learn from it. Showcase your creativity in today’s epic digital environment. Sometimes it’s good to be a Haututū. Make sure you check out our other awesome industry videos on the Māia website. To become an animator/digital artist you need to be able to show the quality of your work. You can do this either through a portfolio of work or a website, or a showreel with a shot list. a tertiary qualification such as a Bachelor of Creative Media Production, Bachelor of Design majoring in visual communication design, or a Diploma in Animation. A tertiary entrance qualification is required to enter further training. Useful subjects include design and visual communication (graphics), digital technologies, art history, maths, te reo Māori and painting, sculpture, photography, printmaking combined. are prepared to adapt to a wide range of tasks and learn new skills rapidly. According to Massey University's College of Creative Arts, around 60% of their graduates find work related to animation. There is a shortage of experienced and talented animators/digital artists. They are in demand from animation, advertising and design companies in New Zealand and overseas. Also in high demand are animators/digital artists with technical skills in coding and computer software, game development, simulation and rendering research, technical directing, rigging and lighting. Animators who can work as producers managing staff or workflows, or have marketing skills are also needed. 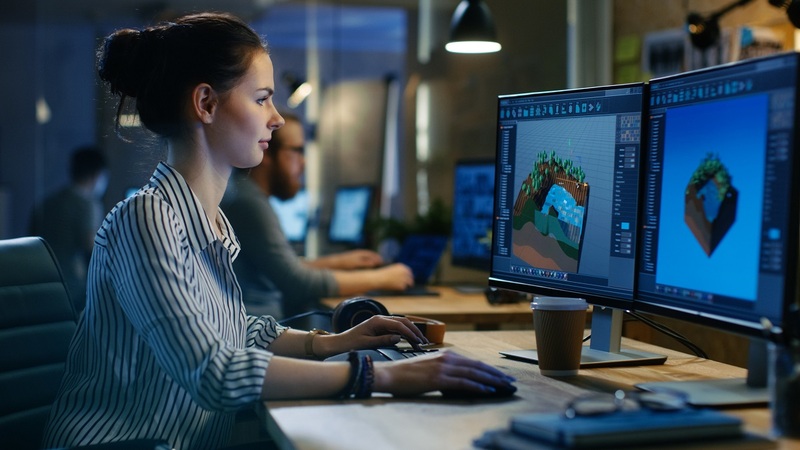 Animators/digital artists who combine their animation qualification with computer software development training can increase their chances of finding work. Multimedia specialist (film animator) appears on Immigration New Zealand's long-term skill shortage list. This means the Government is actively encouraging skilled animators/digital artists from overseas to work in New Zealand. Experienced animators/digital artists are usually employed as freelancers for one-off projects such as commercials, films or events which have a limited production time. Animators/digital artists need to be able to plan and manage their contracts, and network to find new work. Animators/digital artists may work as freelancers, or work on contract for companies that offer graphic design, animation and advertising services. Boucher, N, project manager - outreach, Massey University College of Creative Arts, careers.govt.nz interview, October 2018. Feron, R, lecturer - 3D, Media Design School, careers.govt.nz interview, October 2018. Miles, N, Toybox, careers.govt.nz interview, October 2018. Ministry of Business, Innovation and Employment, 'Jobs Online Quarterly Report August 2017- August 2018', 2018, (www.mbie.govt.nz). Reece, S, 'SIT to Offer Gaming, Animation Courses', 26 September 2018, (www.odt.co.nz). Stats NZ, 'The Screen Industry Survey 2016/17', 10 April 2018, (www.stats.govt.nz). Animators/digital artists may progress to set up their own animation or digital business, or move into management roles. Animators/digital artists may progress to become narrative designers (designing the stories of games), art directors, animation directors, producers, production managers or technical directors.